10 Strange Breeds of Cat - What on Earth? The art of breeding cats is certainly much loved and has occurred across the world for thousands of years producing some of our most loved breeds today. There are in fact a number of breeds in existence today that have been created for different reasons, most of which posses unique talents, behavior patterns and physical characteristics. Our 10 strange breeds of cats list is dedicated to some of the cutest and most bizarre cat breeds in circulation. These cute little cats may not like extraordinary at first glance, however there are a couple of things that makes this friendly breed fairly unique. Firstly, these cute little cats like to emulate their human owners when it comes to sleeping (or maybe just dozing off in your favorite chair) as the love to sleep in a sitting position like the one shown above! What really makes this breed unique though is the folds in their ears for which they are named. Scottish Fold’s have a mutation that causes their ears to fold up to three times. The Pixie-Bob is a very intelligent breed of cat that although may look like a small, domesticated bobcat they were in fact originally bred from wild cats which boasted an exotic look to try and gain this effect. These large cats are very easily domesticated and can even be walked on a leash and can be trained vocally like most dogs. Strangely the Pixie-Bob’s hardly ever meow and in some cases not at all, they seem to prefer to communicate through ‘chirping’ noises. Another incredibly intelligent breed of cat, the Devon Rex are physically distinct due to their massive eyes and ears. This unique breed has been around for about half a century and proves to be a very popular breed of cat. These cats like to climb, preferable up their owners! Another tell-tale trait of the Devon Rex is that they don’t have much guard hair but are rather covered in curly down hair giving them a unlike look and texture. 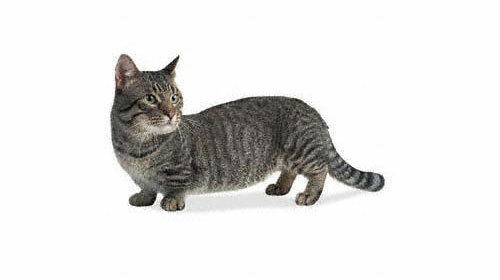 Munchkin cats are essentially a product of the genetic defect known as “achondroplasia” which causes deformations in the spine. Because of the defect ‘pure’ munchkin cats will usually die so the breed is normally recognized when a cat carrying the ‘munchkin’ genes is bred with another type of cat. 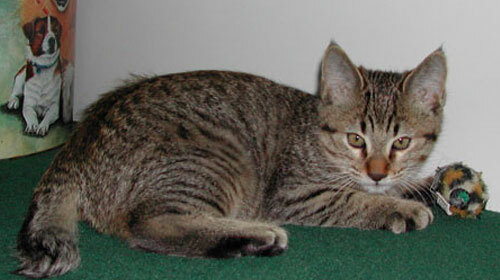 Typically the cats of this breed will look normal but will have a larger head in contrast to their shorty, stumpy legs. What makes the Japanese Bobtail so unique among other breeds of cat is that, as the name suggests, these visually distinct cats have a ‘bobtail’ much like that of a rabbit which they possess from birth. Keeping in with the trend of rabbit-like characteristics, some Japanese Bobtail even hop like rabbits! These amazing cats are a symbol of good luck in Japan and many charms can be found in the shape of a Japanese Bobtail raising up one paw – this is deemed the ‘beckoning cat’. The Khao Manee breed is one of the most rare and expensive breeds of cat on this list. These rare cats were not found outside of Thailand until 1999 when breeding began in the US, up until then this breed was bred only in Thailand for over 600 years! These cats are also consider a symbol of luck and also a symbol of royalty. Sometimes referred to as the ‘white jewel’ these cats are completely white with unique eyes that differ in color. The Khao Manee have one amber eye and one blue eye which were thought to resemble gold and silver. Savannahs are a product of a domestic cat being bred with a serval which is a wild African cat. You will know when you come into contact with a Savannah as they will greet you most of the time by headbutting you! These cute cats are easily domesticated and very intelligent, they can even be trained to play fetch and walk on a leash. Savannahs are absolute masters when it comes to jumping and are very fond of people. Unlike most breeds of cats Savannahs love water! Teacup Persians are extremely cute, minute versions of the popular Persian breed. The Teacup Persians have been bred specifically to make them small and only grow to a weight of around 6 or 7lbs. 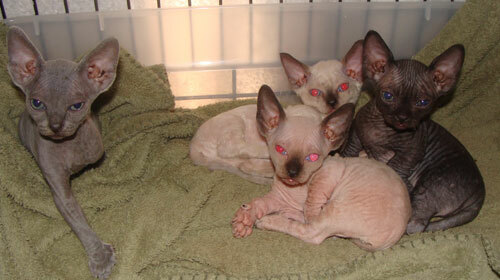 Minkskins are one of the more unique breeds on this list as they are bred from a devon rex/munchkin breed with a sphynx breed. This breed has only been around since 1998 and tends to look a lot like sphynx cats but with the characteristics of a munchkin such as bigger head and small legs. This weird looking cats are the breed ‘Shpynx’ and what makes them so unique is their lack of hair, eyebrows and whiskers. Although its commonly thought that the Sphynx have no hair at all it is actually incorrect, they do have hair it is just very short and ‘fuzzy’. It is also possible for a Sphynx to grow whiskers and eyebrows like that of other breeds. If you plan on getting a Sphynx be prepared to bathe it once as week as they do tend to get a bit smelly due to not having enough hair to absorb their natural skin oils. And there you have our 10 strangest breeds of cat! if you have any of these breeds we would love to hear from you, especially if you can provide any pictures! 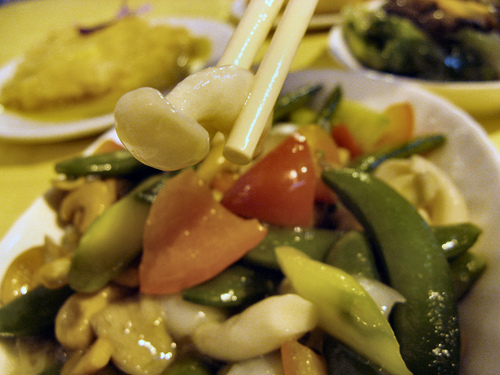 On the subject of the Khao Manee. Please dont believe the stories on the Internet that Khao Manees sell for £10,000, it is rubbish. At the most you can take a zero off that figure for a registered Khao Manee, raised by a responsible breeder. Also although Khao Manee are very well known for their odd eyes, they also come in other colours too. Blue, yellow or green eyed, or a combination of blue and one of the other colours. To “Breed” means to sell the animals not hurt or kill them. 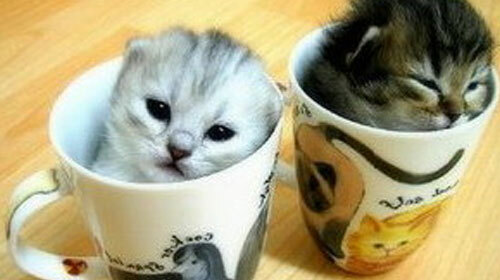 Never, ever pay for a “teacup” cat! There is no such thing. Or rather, there are, but they are irresponsibly-bred runts bred with runts, which give them awful health problems. People who breed small cats DO NOT BREED FOR HEALTH. Stay far, far away from any cat breeder who claims they’re breeding “minis” or “teacups.” They don’t know what they’re doing. Well, teacup cats and dogs are real, but they are very unhealthy. You obviously didn’t read her post very well. She said they were real in the third sentence. I AM SO BOTHERED BY THIS!!! 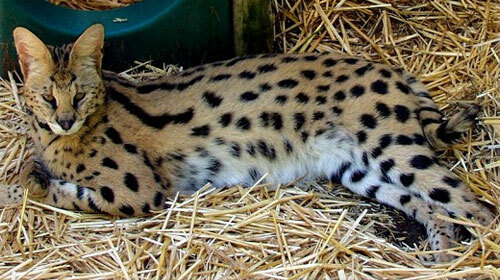 That picture of a Savannah cat is actually not the cat, it is a Serval. A serval is the WILD ANIMAL. NOT the domestic Savannah cat. This website has too many errors. Unreliable website and close to ignorant. Dont believe anything on this website. YOU KNOW THIS WEBSITE HAS TRUE THINGS AND SOME OF THESE THINGS ON THIS WEBSITE ARE TRUE I HAVE SEEN SOME OF THESE ANIMALS IN REAL LIFE THEY ARE REAL AND WHO CARES WHAT YOU THINK ABOUT THIS WEBSITE I HAPPEN TO NOT CARE BUT I LIKE THIS WEBSITE AND THESE ARE REAL BREEDS OF CATS! YOU ARE SOOOOOOOOOOO RIGHT VANESSA.I HAVE SEEN SOME TOO. YOU ARE SO RIGHT VANESSA!! I AM A MAJOR CAT MANIAC AND THESE BREEDS ARE REAL! what?.. “teacup cat”? they are useless…only good for them is to display in the living room. i think that the munchin cat is just some cat that was involved in a science project gone bad!!!!!!!!!!!!!!!! Wow, I have a smaller cat that I have raised since it was a kitten, and it deserves just as much love as any other cat. My cat is four years old and is still the size of a kitten. She is a dwarf. It is real, and if anyone would like proof I have it. It’s very real. No animal is useless, that’s a very sick thing to say. Have you ever seen a cat on a leash? If you have can you please call me when you see a pig flying!!!!! you now some times you have to belive the things you hear.oh and yes i have seen a cat on a leash so there you go!!!!! 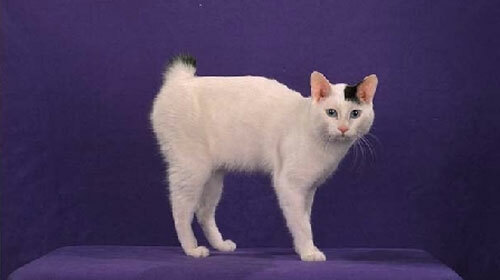 Khao Manee can be known as “Turkish Van Cat”.. Sorry you are wrong, the Turkish Van is a completely different breed and not all white either. I think you are talking about the Turkish Vankedesi, which is all white, but still a completely different breed, and not even short haired! Dang People take their cat breeds serious.. A lot of people seem pretty on edge on these comments. Simmer down a notch or too.. Yes that is a serval in the pic, but oh well, an f1 looks kind of similar anyways and yep, they walk on leashes too.. They can be trained easily, but really they just train themselves and usually are fine just roaming around. Anyways who cares, I want an Asian Leopard! japanese bobtail: looks exactly like my cat! i want a Savannah cat, awesome! the picture of the savvanah was actually a serval which is the wild cat the breed is crossed with to produce the “domestic” savvanah. Males aren’t viable until F5, while females can breed as early as F1. This website has got a lot of things wrong. I agree with mostly all the comments! 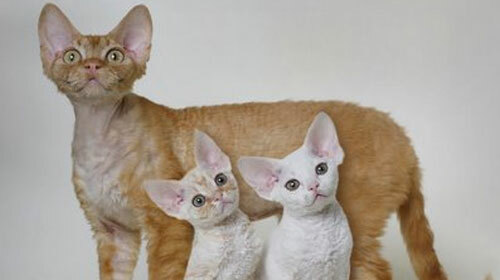 The picture of the devon rex is not actually a devon rex but they are cornish rex’s! Devon Rex has no hair, it is the Cornish rex that has a very fine almost curly coat. The Devon Rex does indeed have a curly coat, as does the Cornish Rex, their type is different but their fur is the same. They do often however have bald patches. A rex is an animal with distinctive curly fur, the area they come from makes no difference. i wonder if 3 of my cats with odd color eyes were call as Khao Manee too… both of parents were siamese cat. If both parents were Siamese you would only have Siamese with blue eyes. soooo… i wonder if anyone’s ever seen a male calico?? also if they have, what would have if two calicos were bred, would they have all calicos or do you guys think the male would be infertile.. and also I never knew there were all orange females.. i’ve never seen one before and then this year one of my calico cats had four all orange females.. so weird. Calicos can come in male, but they’re like mules. Infertile. Very rarely will a male calico be fertile, just like mules. There are reported cases of mules siring or giving foals, and the same with male calico cats. The teacup persian kitties are sooooooooooooooooooo cutie cutie. There is no such bred as teacup Persians they are just tiny kittens bred from undersized, unhealthy parents to produce smaller and smaller cats. The Persian is by its description a medium to large breed. The problems associated with these tiny kittens are heart problems, problems with their teeth, heads that don’t fuse correctly after birth, arthritis in early adulthood and many other major issues. The so called breeders of these are just out for the huge price tag they attach to this kittens because stupid people thin they are cute. The more idiots buy them for this so called cuteness the more and smaller they will be breed. STOP BUYING THESE TINIES AND BUY A CUTE NORMAL PERSIAN. That makes a breed. All breeds of animals are bred from other breeds to create a different trait in the animal. On the other hand you have it spot on with the problem associated with the breed and why they are bred. My sister has a sphynx. I had to get used to her, but she is adorable. These are some ugly cats! Ugh. x.x What is with these teacup breeds? They’re just runts, and they have horrible health problems. Teacup chihuahuas are known to have malformed heads where they’re cranium never fuses, so you can poke their brain under their fur. I hate breeders, and a lot of them are just in it for the money and don’t care (a lot, but not all). Just adopt pets from the pound. Who needs teacup breeds or purebreds with papers when you can get perfectly cute and well-behaved animals at the pound? Rather than buying from breeders, you’ll be saving an animal life from the pound. A much more gratifying thing to do. If you want an pound dog… go for it. I’m sick of people telling us what to do and what to want. Most breeders take excellant care of there pups & kittens, they have to much at stake to have unhealthy babies. ( I’m not talking MIlls where they are kept in small cages.. and that is OK per the USDA laws !) 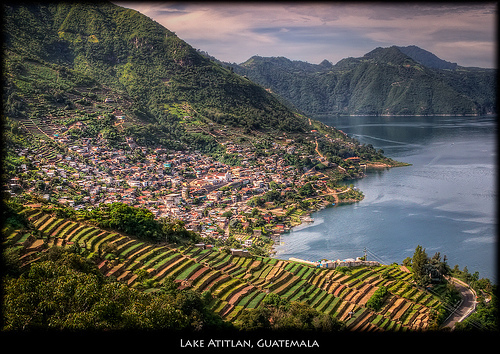 I have been to both and there is a HUGE differance. But I am sick of hearing get a pound dog… and make me feel guilty because someone was lazy and did not get there dogs fixed. I didn’t want a mutt with a guess who is daddy. Almost all breeders breed their animals to have specific traits to ensure that they look in par with how people expect them to. This gets them a lot of money as people like you think it’s important to know the daddy as you say. All the animals in pounds can in fact be from breeders, idiots and unwanted animals for the reasons you just noted. Almost all breeder dogs have a lot of health problems, look it up an see, I study breeding and development of animals. A lot of pound dogs, in fact have a lot less health problems because they do not have extreme features. 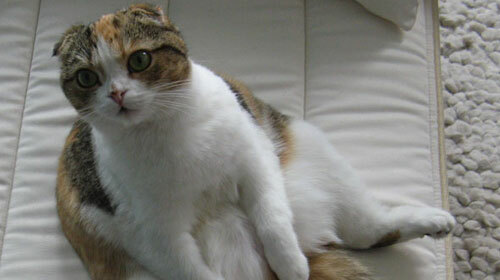 Male calico cats are rare and they are infertile. Male calico or torties are not always infertile this is an old myth. It depends on whether they are an abnormality or a chimera. jeez thats a bit harsh, maybe you hate cats but than why the hell are you looking through pictures of them?! I am sry but i really find this comment quite offensive to some ppl, i am so sry, but u should get a life. STOP BUYING CATS FROM BREEDERS! Please, read up on the horrors of breeding for sales. It’s horribly cruel. Adopt from your shelter. A lonely, perfectly good animal who is otherwise destined to die because someone feels they need a “designer” pet is waiting for a savior. stop buying from the damn animal shelters they take borderline wild animals off the street and put them in peoples homes i bought one for 75 dollars then the animal had rabis almost killed everyone in my house hold then the shelter said that they had nothing to do with it… buyer be ware a shelter animal may end your life!! I’m so sorry this happened to you! It sounds like you had a terrible ordeal, but this must have been one really bad shelter out of hundreds of good ones out there; please don’t pass up the animals awaiting loving homes because of this highly uncharacteristic shelter experience. Well maybe you should have done a background check on the shelter and the animals there, normally shelters give pets all their injections and make sure they are ready to be placed into a home. I’m sure this didn’t happen, I don’t know where you got your animal but if you were in the UK this didn’t happen because there hasn’t been a case of rabies for many years and the animals are checked always. They don’t always take ‘borderline’ wild animals, they take helpless animals abandoned by their owners for the sake of buying a designer pet. Don’t exaggerate. It makes you sound ridiculous. And it sounds like it was the specific shelter, not all in general. Breeders cause excess animals and contribute to the number of homeless animals. Some shelters have so many animals coming in that they are simply unable to home them, getting designer animals as people like to call them pushes the re-homing of the sheltered animals out the window so more and more will end up being put down as there isn’t enough room for them. Being an animal lover I HATE this sort of thing and many of the ‘designer’ pets have awful disorders and problems as they are bred to look completely unnatural meaning overall they are generally not as healthy as sheltered animals anyway. They shouldn’t keep being bred for the price tag because it causes pain and suffering in the animal throughout their life. I don’t think you really thought that through, did you? 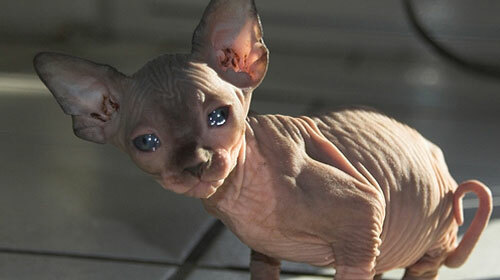 The Sphynx looks so much like a Chihuahua with no hair! I dont think its scary. but its crazy! Not all white cats with blue eyes are deaf in fact the majority aren’t this is yet another myth. The’genetic thing’ as you call it is basically the same gene, the masing gene, that covers the coat in white, hiding the true colour, can also stop the pigment developing in the eye. 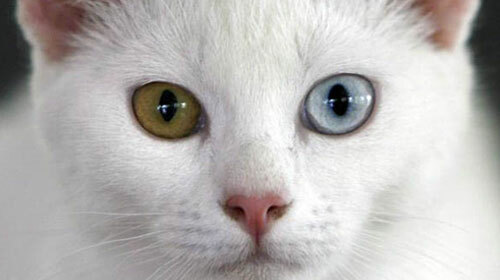 A white cat were the pigment has developed has orange eyes, one were the pigment was stopped has blue eyed and one were the pigment developed in one eye and not the other is an odd eyed ie one blue eye and one orange eye (this is known as complete hetereochromia). In the case of both blue eyed whites and odd eyed on the side of the blue eye the masking gene can also stop the normal development in the ear thus causing deafness. This can also happen in blue eyed and odd eyed bi-colours if they have white ears. I love the teacup persians they really are so cute.. wish to have it.. They are some truly strange breeds. I love the munchkin! Awesome! My mother used to have a Khao Manee her name was Zoey her eyes were the same color. My mom used to put one blue contact on and one brown contact on so she could be like Zoey. I won’t go to a shelter. They treat potential adopters in an awful manner and its hypocritical. I used to volunteer when spaying/neutering was the primary goal. Now its pushing rescue pit bulls and broken animals on families. How can a person even figure out what animals fits with them when they are lied to by the shelter? Then they are punished when they return the animal..because it was inaccurately represented with regard to its breed and personality, not because they were ‘bad pet owners’.